It is not just fish that live underwater in the River Liffey at Clane. Our stretch of the river is also home to a remarkable lobster-like animal: the White-Clawed Crayfish. The White-Clawed Crayfish (Gliomach Fionnuisce) is a freshwater crustacean that occurs in various rivers, streams and lakes around Ireland. Although it occurs elsewhere in Europe, the Irish population is of international importance as a disease has seriously affected populations across Europe and Britain. It is a fully protected species here. Like many of our animals, the White-Clawed Crayfish has a remarkable breeding cycle. The female lays her eggs in October or November, gathers them under her tail, and remains relatively quiet for the next 8-to-10 months. After they hatch in June or July, the young Crayfish stay attached to their mum until their second moult. Finally, the mother can start moving again, and treat herself to a very well-earned meal. 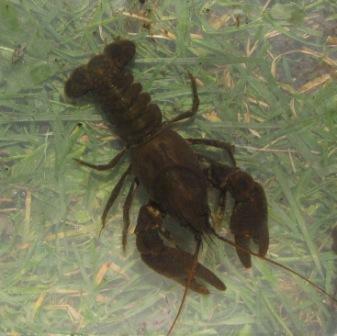 Here is a video of four of these Crayfish discovered during a cleanup of the River Liffey at Clane. The Crayfish with the widest circular-looking ‘tail’ was carrying eggs (tucked in under her tail). All of these Crayfish were returned back to the river, to a hastily constructed underwater rockery. We hope that the Crayfish will be happy and safe here, for many generations to come. For more detailed information on White-Clawed Crayfish in Ireland see Irish Wildlife Manuals No. 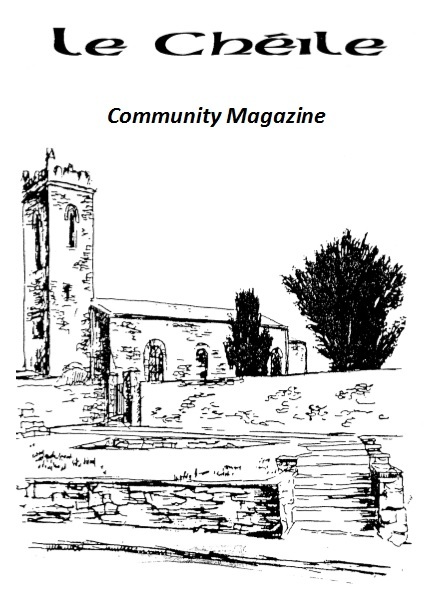 1 by J. D. Reynolds, and other reports published on the NPWS website. Had a great night Sunday, enjoyed the evening well done John. wild life park is great. Yep – great day. A lot of people put a lot of thought and hard work into our new park. Well done to all.